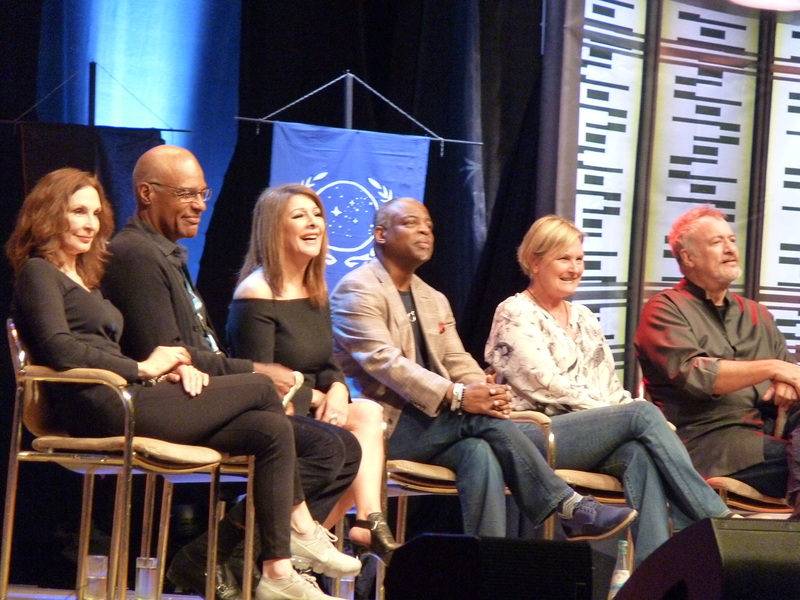 The first talk we attended was Fedcon's most favourite guest (as voted for by last years patrons) Marina Sirtis. Marina can always deliver an entertaining talk and the audience hangs on to her every word. It didn't take long for her to get into politics! Deanna Troi and Marina Sirtis is our favourite Juxtaposition. They are probably the most diametrically opposed personalities between an actor and her character. And we love them both! Marina also told Fedcon a hilarious story about how her temper got her onto the the TSA's flight watch list!